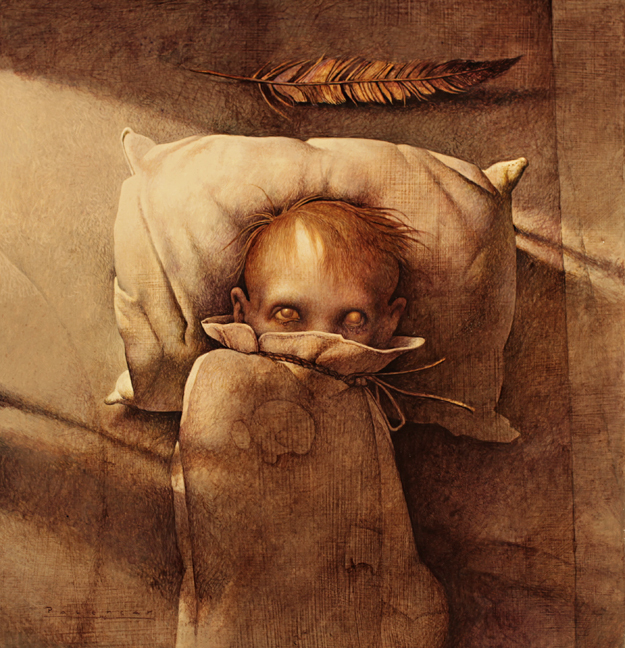 If you're in the Chicago area this weekend - one and all are invited to attend the opening of the Fifth Annual Maleficium Exhibition held at the Kosar Gallery. The exhibition was founded by J. Anthony Kosar, Sculptor, Teacher and winner of the fourth season of FaceOff, the special effects competition television show. The show includes over 60 artists, including many Muddycolors members. Check out the entire list HERE. At the Exhibition Opening and Artist Reception on November 15th, they will he holding a raffle, featuring prizes ranging from signed prints, books, comics, masks, figurines, and other great prizes donated by the artists!! All proceeds from this raffle will go to Little Friends, a non-profit organization serving children and adults with autism and other developmental disabilities, Last year they raised $1,500 for Little Friends, and hope to raise even more this year! 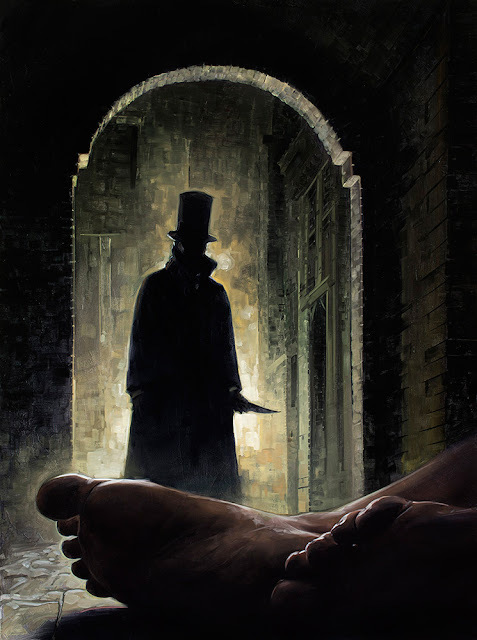 "A Terror", by John Jude Palencar. Acrylic on board. 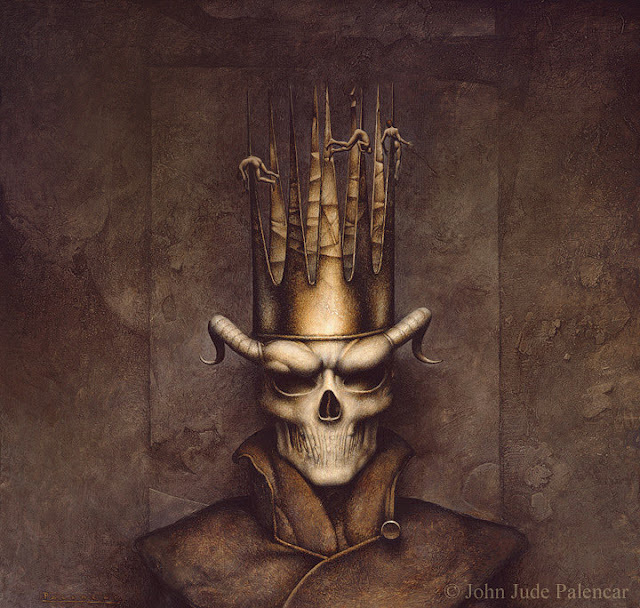 "Macbeth", by John Jude Palencar. Acrylic on board. 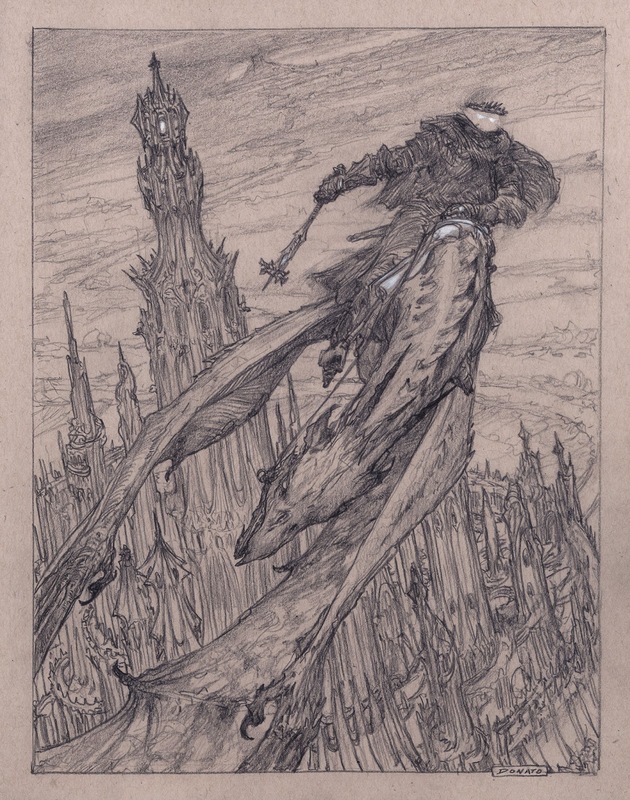 "Barad-dur and the Lord of the Nazgul", by Donato. 16x20 in. Pencil and Chalk on Paper.